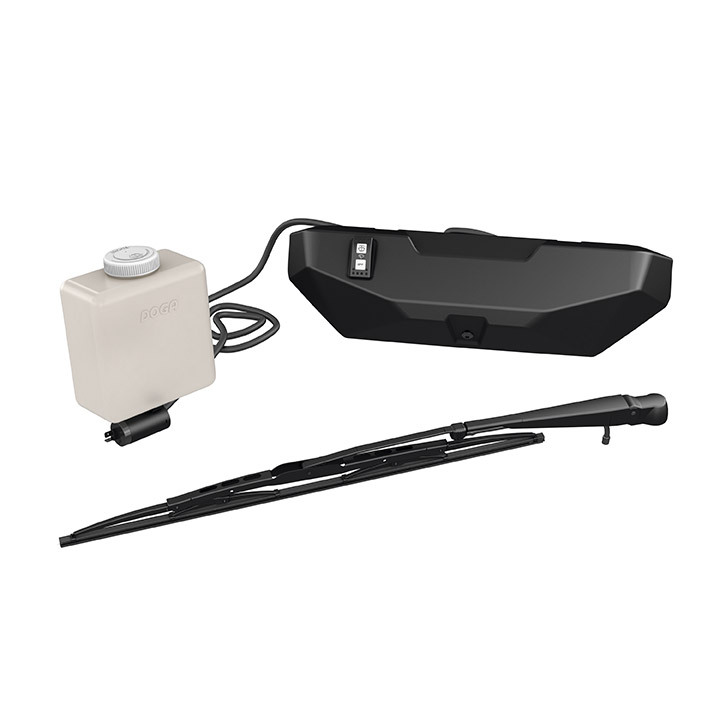 Windshield wiper and washer kit an ideal way to keep your windshield clear in rain, or while riding through mud and water. Includes single-speed wiper, washer fluid dispenser and windshield frame mount. Must be used with the Glass Windshield (715001303) or Flip Glass Windshield (715002942). · Requires Wiper and Power Windows Cable (710004462) and Power Cable (715003094).